Betang House is a traditional long house of Dayak tribe in West Kalimantan which was constructed by the city government reaches 310 m length and 18 m wide, now is dwelt about 34 family heads, which still have family relation. Located in Saham Village, Sengah Temila District it is not far from International road Pontianak - Kuching. 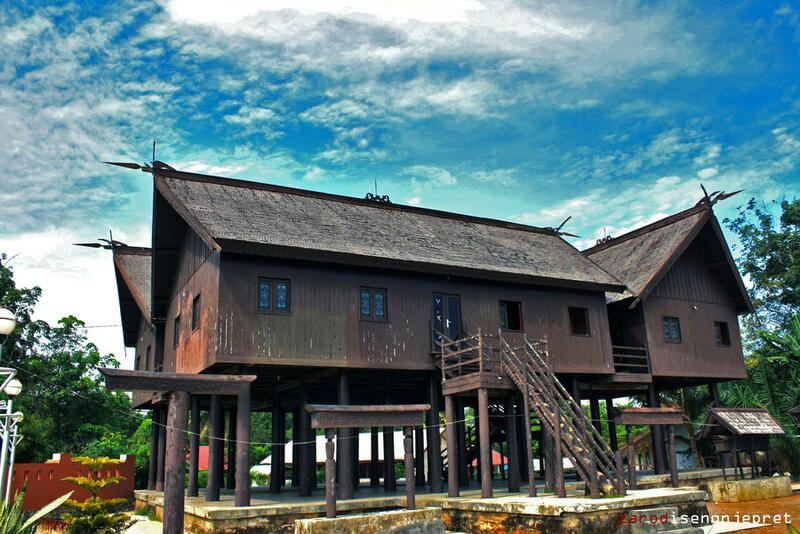 Be the only omission of the Dayak long house in Pontianak regency. More than a building to stay of Dayak, actually Betang House is the heart of the social life of Dayaks. Betang culture is a reflection of the unity in daily life of Dayak. In this Betang House each individual life in the household and society systematically arranged by mutual agreement as outlined in customary law. Mutual security, whether from criminal interference or sharing food, love, grief and mobilization of labor to work the fields. The main value stands out in long house life is the value of togetherness (communalism) among the citizens who inhabit it, in spite of differences they have. From here we know that Dayak tribe is a tribe that appreciates a difference. The Dayak respect differences of ethnicity, religion or social background. Betang characterized in that; Stage shape, elongated. In particular Dayak tribe, construction long house upstream should be the direction of the sun rises and the next downstream toward sunset, as a symbol of hard-working to survive from the Sun to grow and go home in the Sun extinguished. The room at Betang House consist of three parts; the first main room of house, the second chamber gong sounds, and the third is physical room (Ragawi) that is not visible. The main room is a room with a man who connects to heavenly realm (Surgawi). The second room is a room that connects human beings with heavenly inhabitants (Surgawi), and the third is the heavenly room that also is a physical room. While the death is the most important thing in Dayak Ngaju live, because through the death of spirit of a Dayak can be dispatched into the heavenly realm, through Tiwah ceremony. In which there are significant percussion ritual purification. Half of Betang House is open space. This space is called radakng (veranda) that is used for a variety of daily activities of inhabitants, such as the traditional rituals, wicker crafts. Namely the patio or Pante, the lobby which is used to gather the whole family and sleeping or booth that is a personal room of each head of the family. 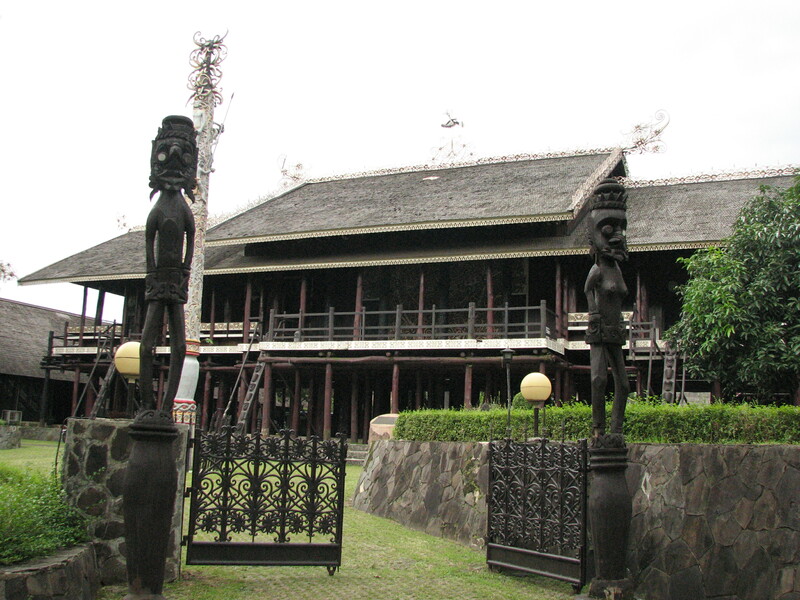 Betang House or Betang Radakng government is made of ironwood and decorated with carvings and paintings Dayak. At certain moments, the house was used as a dance training and other art performances.